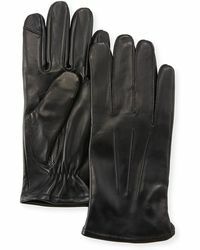 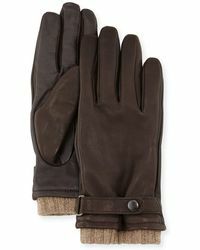 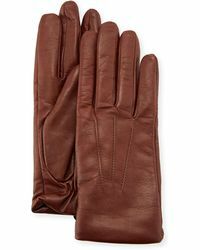 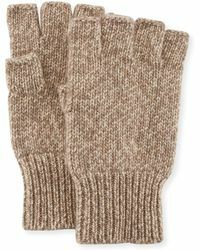 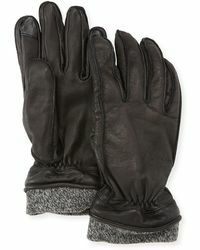 Men’s Neiman Marcus gloves are timeless and classic but don’t be fooled by their looks – they’re all made to fit in with your modern lifestyle, too. 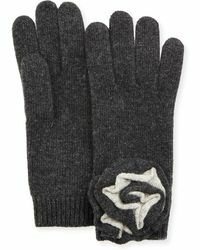 Each pair is made with conductive threading that allows full usage of touch screen devices – an attribute that also goes without saying for the fingerless designs. 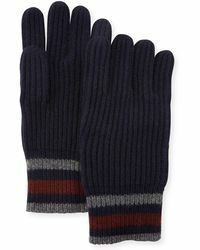 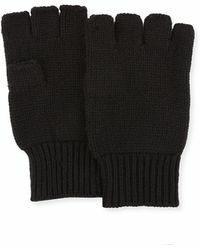 Made from materials such as wool, cashmere and leather, these gloves will keep your hands warm and protected without any loss of functionality.